Our experts are detail-oriented and meticulous as they visit your home or commercial space to test a range of parameters and assess the issues that are causing discomfort. Our laboratory is equipped with some of the best equipment in the world, approved by the US EPA for various parameters (sometimes referred to as “reference grade” monitors). Fine particles directly emitted from aerosols, power plants, industries, construction activities and automobiles. A non-flammable gas with a penetrating odour that irritates the eyes and nose-lung air passages. A product of combustion, automobile exhaust, tobacco smoke, fossil fuel-fired electricity generating stations and indoor space heaters. We schedule a time for testing as per the client's convenience and bring all the required equipment. Most of the tests are digital, although sometimes clients request chemical tests of certain parameters. This takes longer and is scheduled accordingly. Digital testing in a home takes no more than one hour and the final report will be created and sent typically within 24 hours, with a maximum of 3-4 business days. We conduct an analysis of the space (office/mall/school/gym, etc.) with the facility manager to identify the locations and key parameters to be tested. Tests can be digital and/or chemical depending on the type of pollutants we are testing for. The process can take anywhere from one hour to one week, depending upon the size of the facility and the number of samples needed. The client will be informed of the estimated time required, and the testing scheduled accordingly. The final report will be sent typically within 5-6 days, with a maximum of 10 business days. As you will see, we highly subsidize our home testing service as we believe everyone has a right to know what kind of air they are breathing. Our commercial rates are closer to what it costs us to provide a high-quality service. We have watched our competitors test spaces and know the quality of our testing services is many notches above what they have to offer. Fine particles directly emitted from aerosols, power plants, industries, construction activities and automobiles. Exposure to high concentration of PM causes premature mortality, respiratory disease and weakening of eyesight. Pre-existing heart or lung or asthmatic patients are very sensitive to PM as these minute particles are inhaled with every breath. Formed by all metabolic activity and combustion activities. Elevated levels of CO2 indicate an insufficient amount of fresh air and can cause headaches, dizziness, increased blood pressure, poor concentration and nausea. 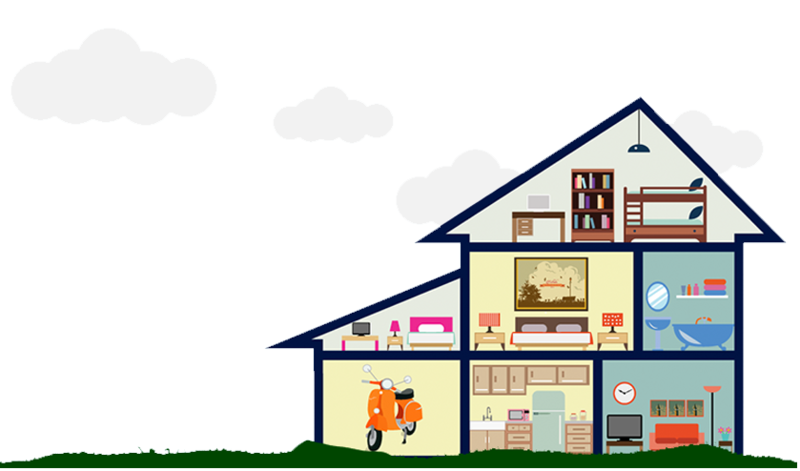 Concentration of Total Volatile Organic Compounds (TVOC) is up to ten times higher indoors than outdoors. Main sources are paints, chemical solvents, aerosol sprays, disinfectants, air fresheners, mosquito repellants, cosmetic products, etc. These compounds are carcinogenic to the human body. Health impacts include eye, nose, and throat irritation; headaches; loss of coordination; nausea; and damage to the liver, kidney, and central nervous system. Formaldehyde (HCHO) is emitted as gas from certain solids or liquids. Concentration of HCHO is consistently higher indoors than outdoors. Sources of HCHO include furniture, paint, adhesives, aerosol sprays, chemical cleaners and disinfectants, and air fresheners. A non-flammable gas with a penetrating odour that irritates the eyes and nose-lung air passages. Any SOx present indoors has come from outside. These gases are emitted from fossil fuel combustion, manufacture of sulphuric acid, incineration of refuse and coal burning. Exposure leads to a reduction or failure of lung function in asthmatics, tightness in the chest and frequent coughing. A product of combustion, automobile exhaust, tobacco smoke, fossil fuel-fired electricity generating stations and indoor space heaters. NOx emissions are generally high in heavy traffic areas. Highly toxic in significant concentrations, causing serious lung damage with a delayed effect. O3 can impair lung function and cause irritation to the respiratory tract. If exposure is high, it can cause irreversible damage to the respiratory tract and lung tissue. Indoor sources include office equipment and electronic air cleaners with negative ion generators.